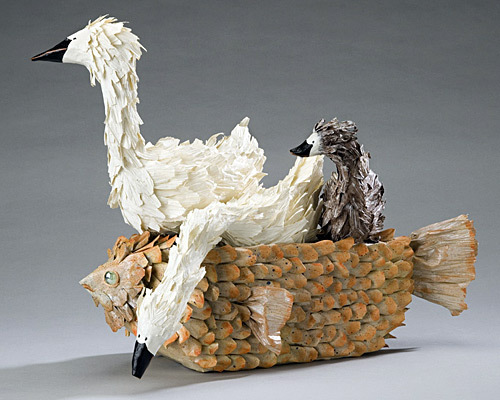 We are totally charmed by Nancy Winn’s papier-mâché animal kingdom. The expressions, the funky forms, and the off-kilter imagination make her creations stand out. 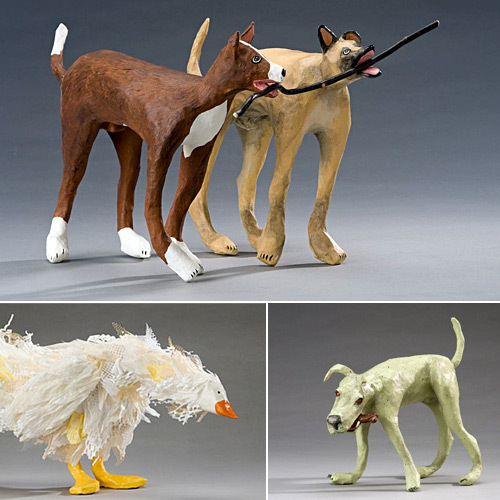 Nancy describes her process: “I often incorporate postage stamps, comics, fiber, antiquated sheet music, maps, eyes, whiskers, feathers, and fur to capture a peculiar characteristic or oddball quirk. 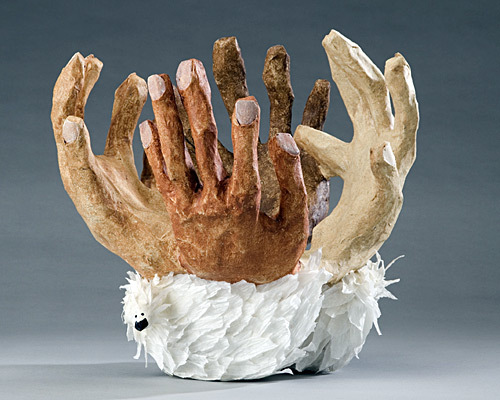 Unruly and challenging critters may require more than twenty hours of handwork over many weeks.” Nancy has turned unwanted materials into artistic forms.